Hematopoietic stem cell transplantation (HSCT) is an established treatment approach for many malignant and nonmalignant diseases that affect the hematopoietic and immune system. Indications for HSCT are considered for patients in whom HSCT is likely to benefit their survival compared to other therapeutic methods. 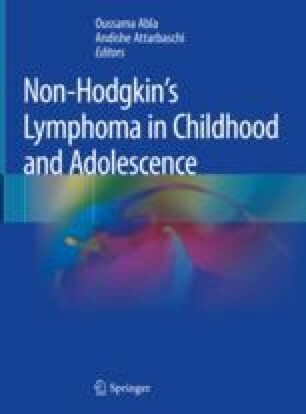 Current long-term event-free survival of children with newly diagnosed non-Hodgkin’s lymphoma (NHL) has reached 70–90% with standard chemotherapy regimens. Therefore, HSCT will be generally reserved for use in children with NHL only after treatment failure. However, the prognosis for children with relapsed or refractory NHL is poor with some exceptions; the optimal treatment for these children has not been established. Although HSCT may provide a curative treatment option for some of these patients, it is not easy to clearly assert effectiveness of HSCT because of the small number of such patients and little consistency in their therapeutic approach. Based on the reported experiences to date, autologous HSCT may be used to treat only children with relapsed B-cell NHL and anaplastic large cell lymphoma who have achieved subsequent remission by salvage chemotherapy and do not have a poor prognostic factor, such as early relapse. Allogeneic HSCT may be a preferable treatment option for other children with relapsed or refractory NHL.